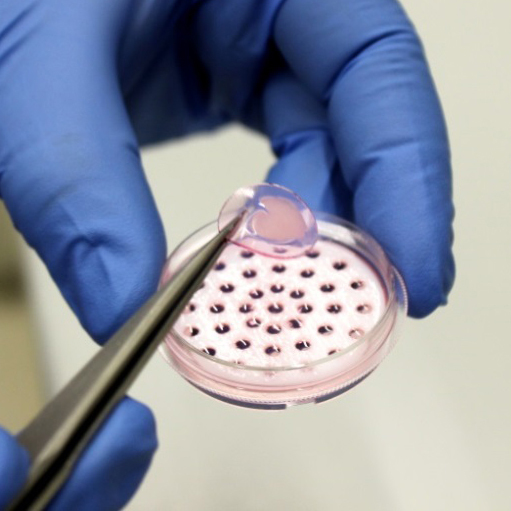 A simple system comprising biocompatible hydrogel disks on proprietary plastic supports to ensure key demands of tissue culture: superior aeration, constant medium feeding and metabolite exchange. 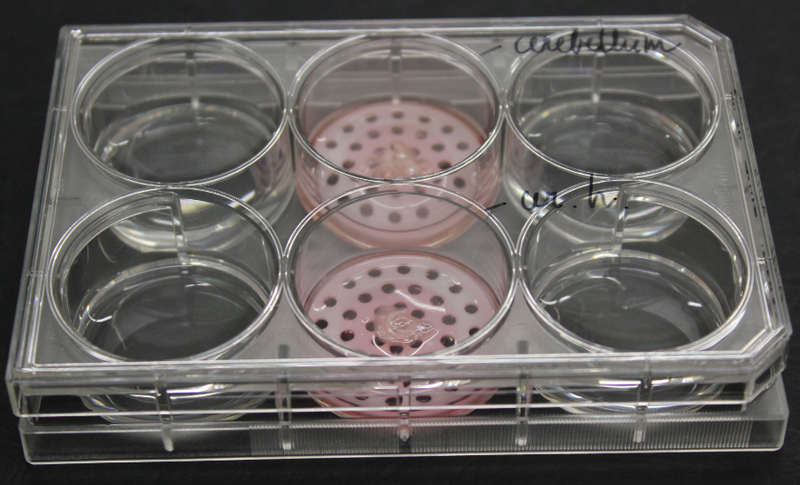 After each experiment, the tissue holding hydrogel can be easily transferred to a lower volume multi-well plate for immunocytochemistry. It can also go together with the tissue slice on it through paraffin embedding stages or cryofixation, keeping tissue structure unaffected by any of these manipulations. Tissue on hydrogels may be monitored under inverted and direct microscopes and can be easily accessed by electrodes for electrophysiology studies. FOR RESEARCH USE ONLY. NOT FOR USE IN HUMAN THERAPEUTIC OR DIAGNOSTIC APPLICATIONS. As these are new materials, prices shown are indicative and introductory, and are subject to change based on costs, market conditions, the modifications requested, the quantities ordered, etc. All prices shown are in Euro and do not include VAT (21%, for orders outside the EU). For orders within the EU 0% VAT will be applied. Prices do not include shipping. All international orders will be shipped by courier mail (DHL, UPS, TNT, Fedex, etc. ); shipping costs will be confirmed during ordering. If you prefer using your own shipping company account, please note this when placing an order.